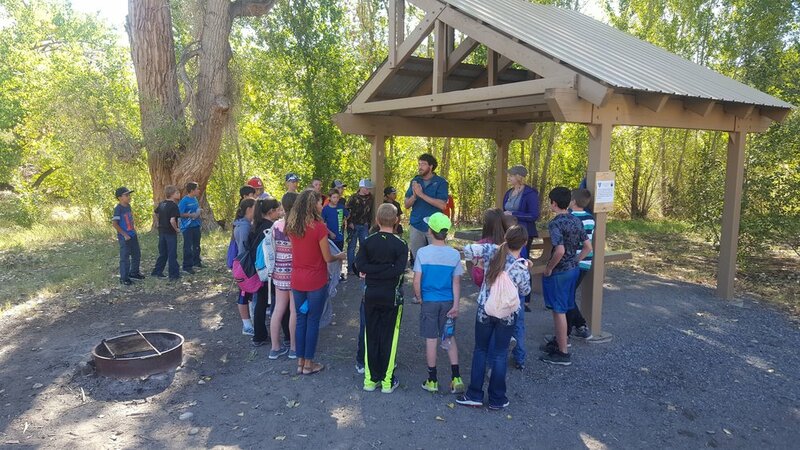 This fall, with support from our incredible volunteers and partners, CCA turned the Gunnison Gorge, Dominguez-Escalante and McInnis Canyons National Conservation Areas into hands-on, outdoor classrooms for nearly 1,000 students in our communities! Cottonwood Days in Gunnison Gorge: 400 students! 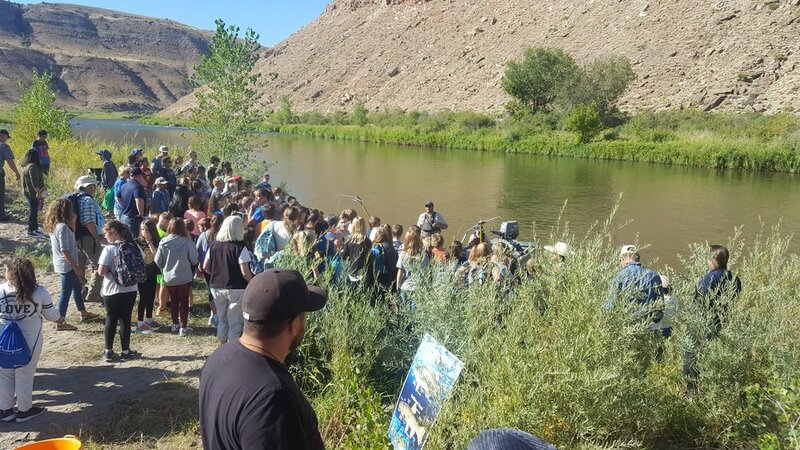 In September, we brought 400 6th grade students into the Gunnison Gorge NCA for our annual Cottonwood Days event. The middle school students learned about riparian ecosystems and how all aspects of river environments are linked in a web of life. To learn more about this event, read our post here. Overnight River Trips in Dominguez-Escalante & McInnis Canyons: 50 students! Also in September, we had several great river trips to close out our river season, bringing approximately 50 students from Delta and Mesa counties out on the rivers to experience the joy of overnight rafting trips while learning about river ecology, archaeology, and restoration. Click here for the full scoop on these river trips! Paleontology in Practice in McInnis Canyons: 70 students! 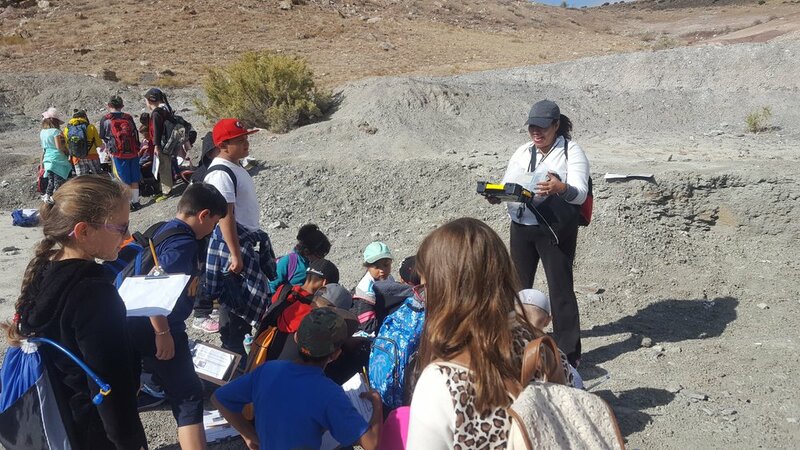 In October, we put our new paleontology education kits to the test and took 70 4th & 5th grade students from the Dual Immersion Academy into McInnis Canyons where they learned about dinosaurs and Earth's history! 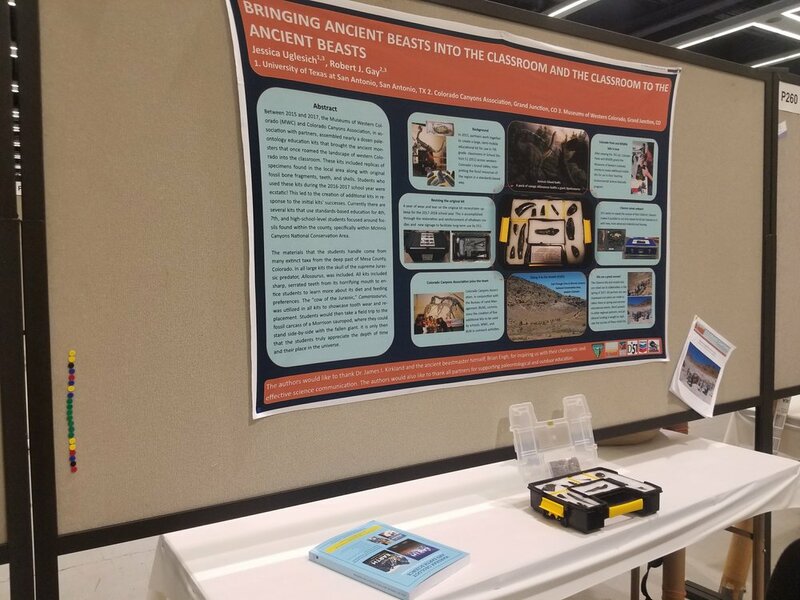 Additionally, CCA's Education Director recently presented these kits, to much praise, at the Geological Society of America's annual meeting in Seattle! Click here for more about the kits and stay tuned for a follow-up on the presentation! Nature Knowledge Days in Dominguez-Escalante: 50 students! 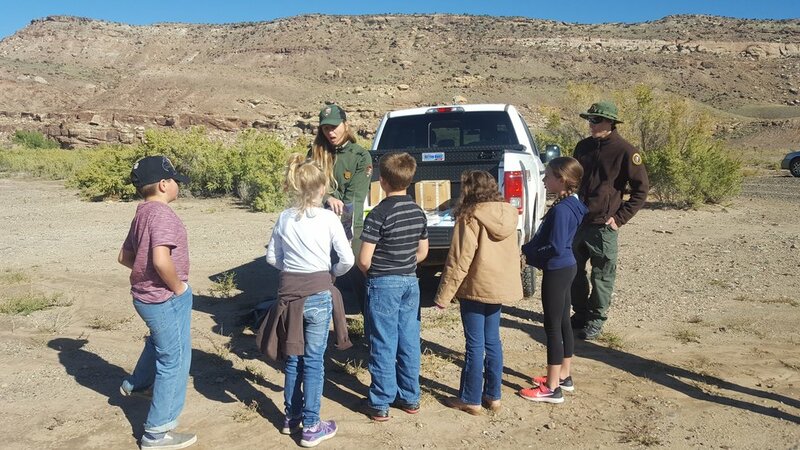 We were pleased to have 50 students join us for hands-on lessons about the history, biology, and geology of Escalante Canyon at our Nature Knowledge Days event. That said, in order to better serve our Delta County-based education partners in District 50J, we've decided to modify the format for this annual event. Traditionally hosted each fall, this school year, we'll also be launching a spring version to facilitate enhanced participation by educators and students and to make logistics easier for CCA staff and volunteers, as it will line up with our McInnis Canyons-based Nature Knowledge Days field trips hosted annually each spring. Every Kid In the Park (EKIP) Trips: 300 students! In partnership with The Nature Connection, the Park Service, the Forest Service and the Bureau of Land Management, we've hosted and assisted with multiple field trips for Mesa & Delta County students over the past few weeks, taking students into the McInnis Canyons NCA and the Colorado National Monument. As the season winds to a close, we still have several EKIP trips left to go with about 150 students slated to get out into the NCA and also have a trip to the Grand Mesa Uncompahgre & Gunnison National Forests cued up for later this winter. Newer PostHighlight Reel: WXWW Success! Older Post ~ 2018 Calendar: Dogs of the National Conservation Areas ~ NOW $10 at In Store Locations!